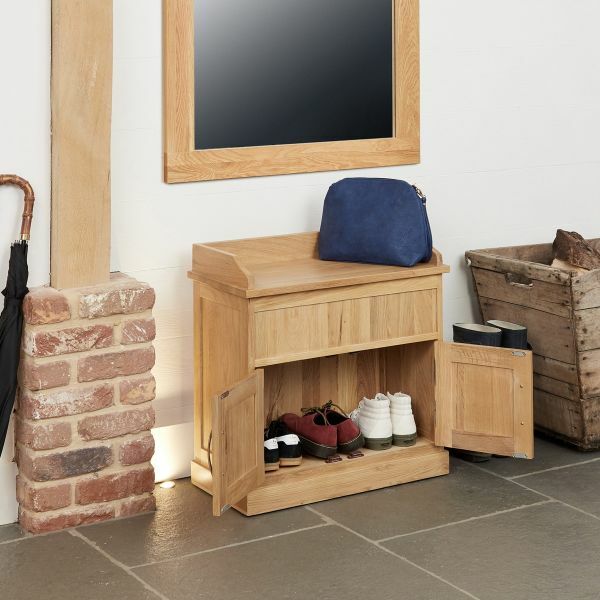 This superb Mobel Oak Console Table adds contemporary style and storage and is the ideal piece to create a focal point in any alcove, dining room, living room or hallway. 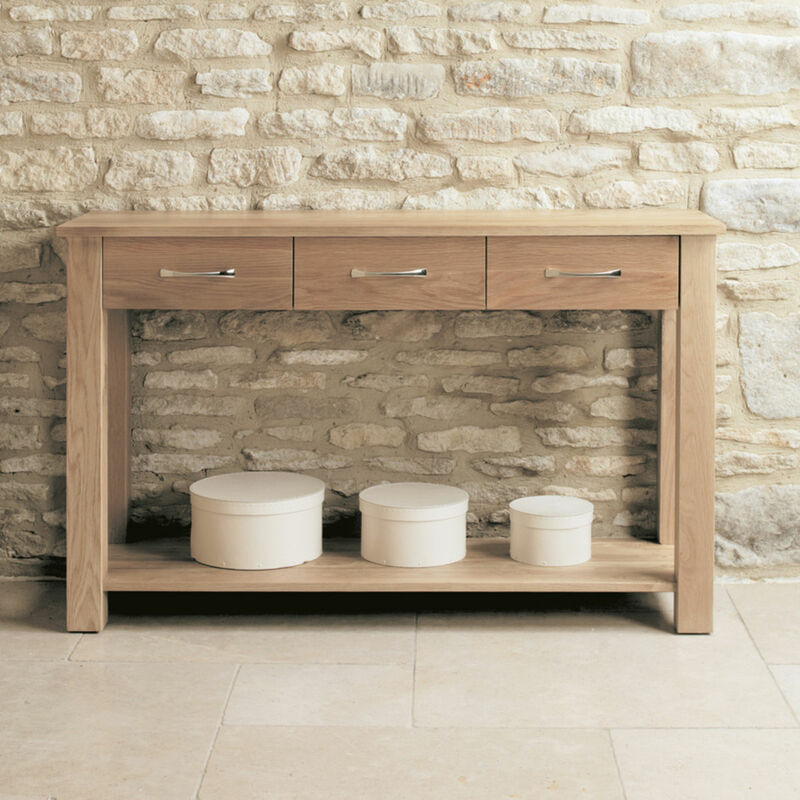 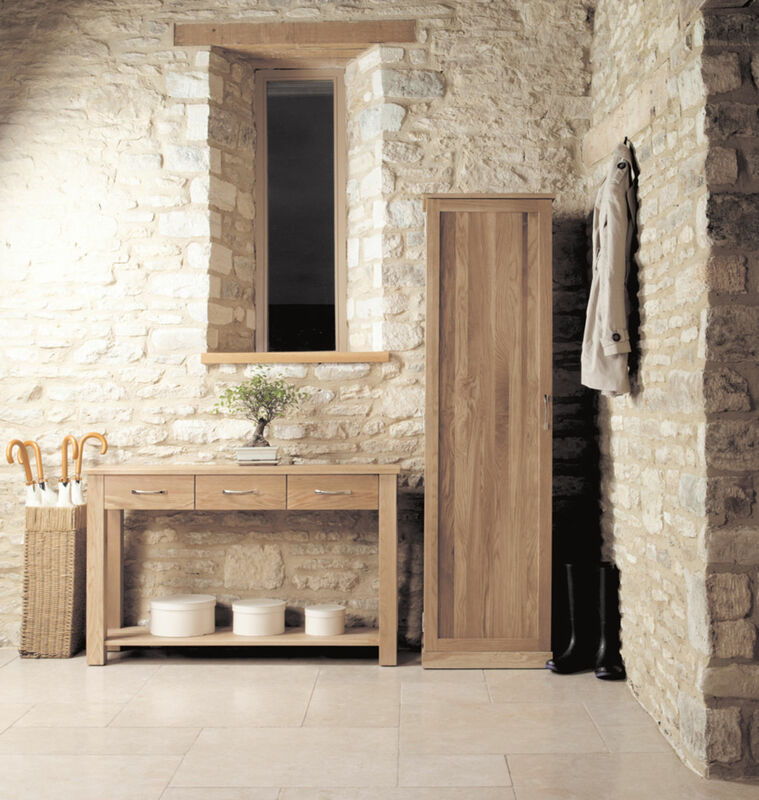 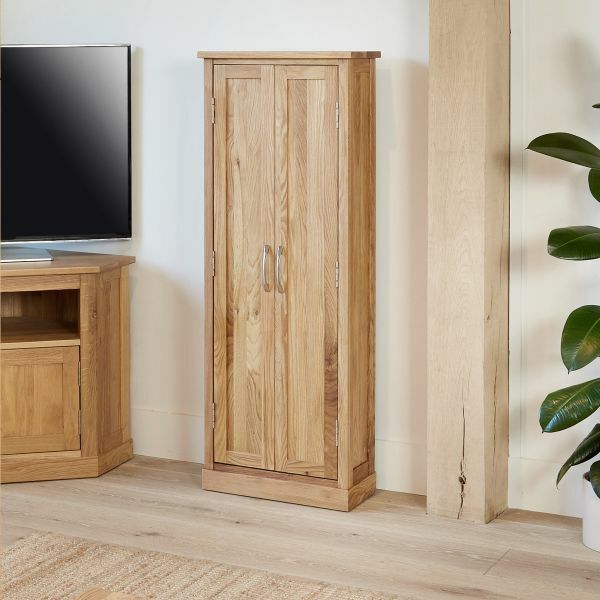 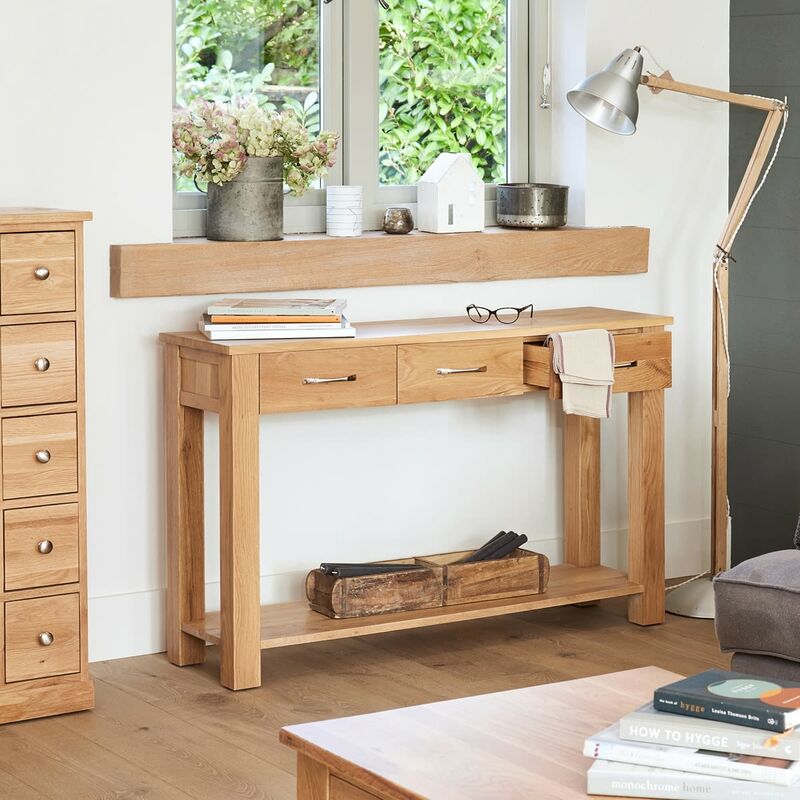 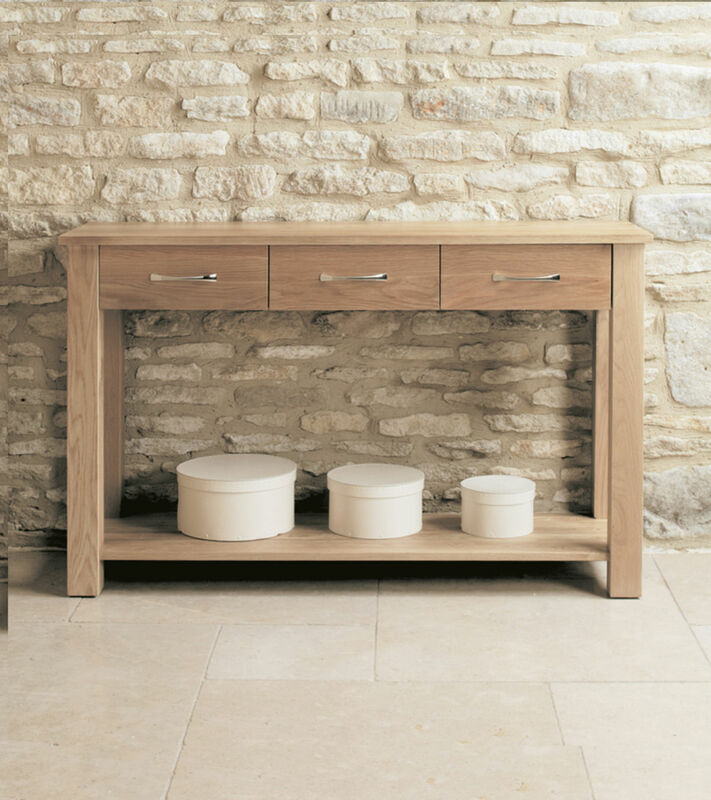 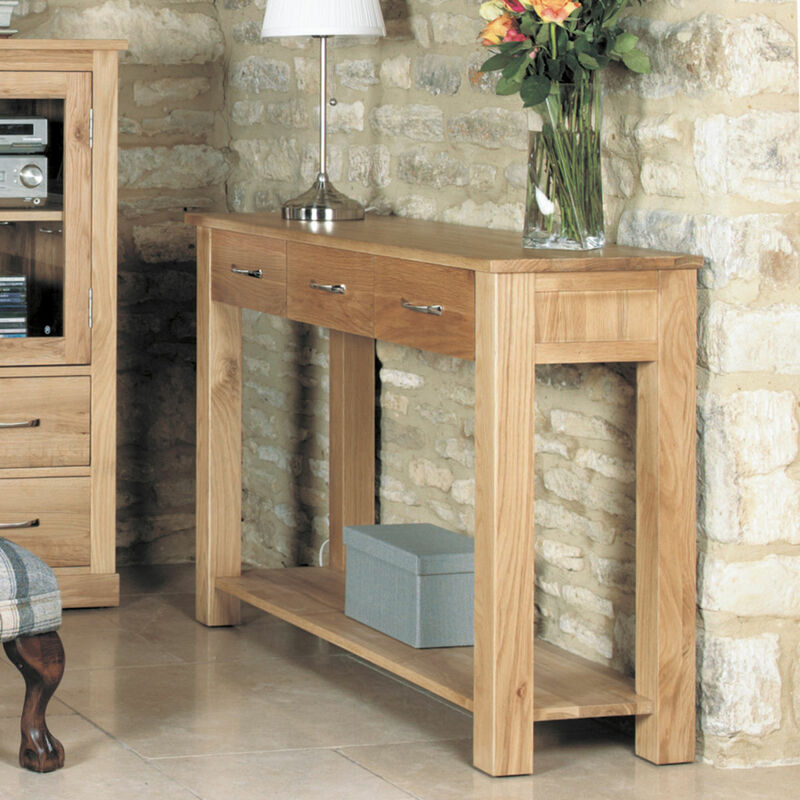 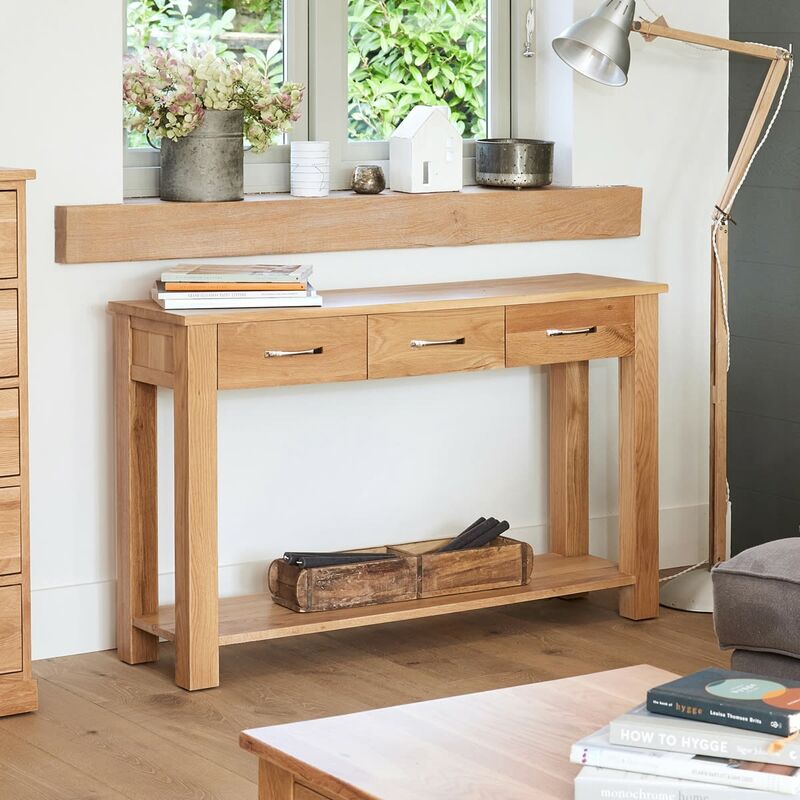 Constructed using solid light oak this elegant hall table has a fixed lower shelf to give extra structural rigidity and plenty of extra storage, and three large drawers that provide a useful home for all of those 'need quickly' items as you dash out of the front door. 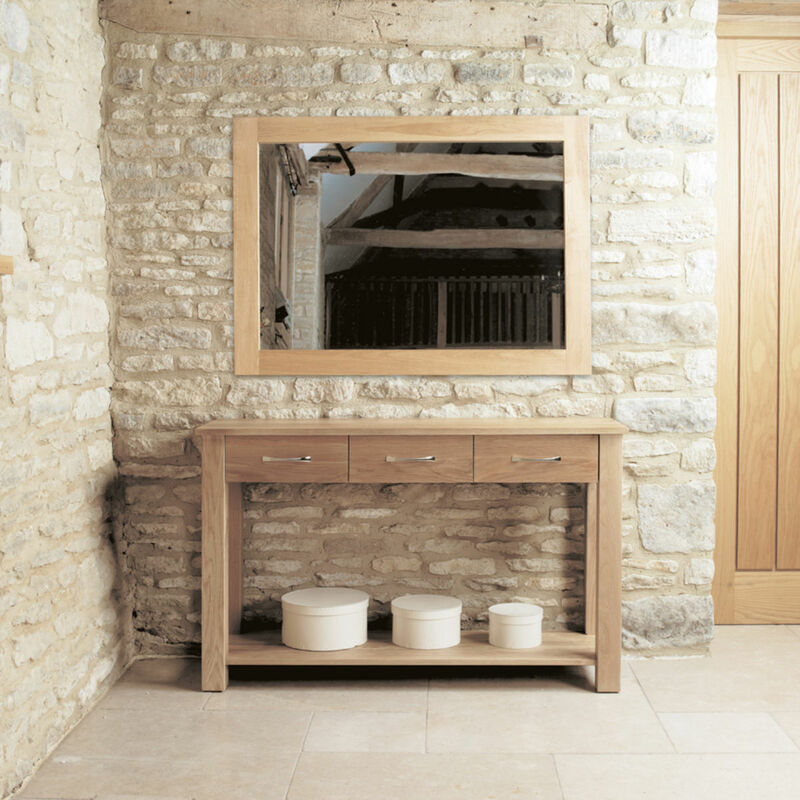 This console table (which has been designed as a dressing table) features tongue and groove back, fully dovetailed drawers, stylish two-tone brushed steel handles and is finished with a resilient satin lacquer for a quality sheen. 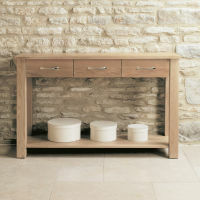 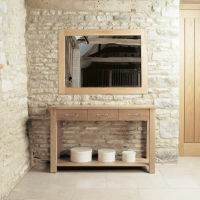 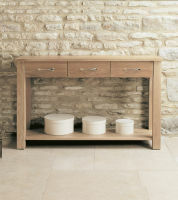 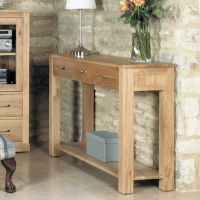 Quality furniture requires quality materials; all of our items (including this hall console table, and all of our hall furniture) are solid and substantial pieces designed to last a lifetime, constructed from environmentally friendly oak - all of our oak furniture is sustainable and sourced from managed plantations. 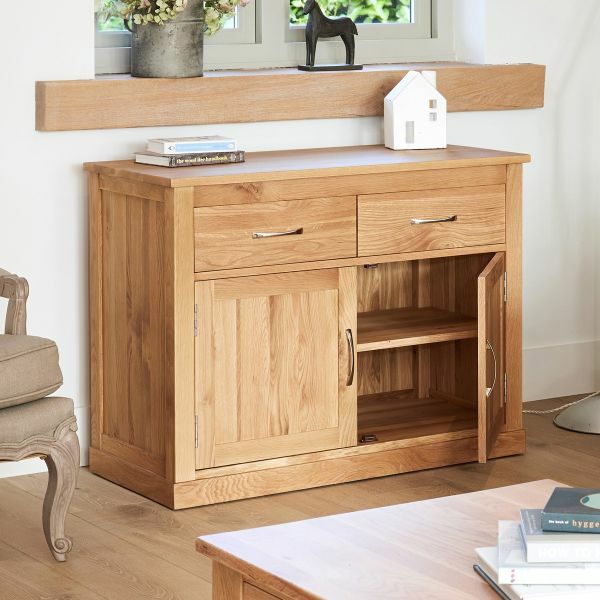 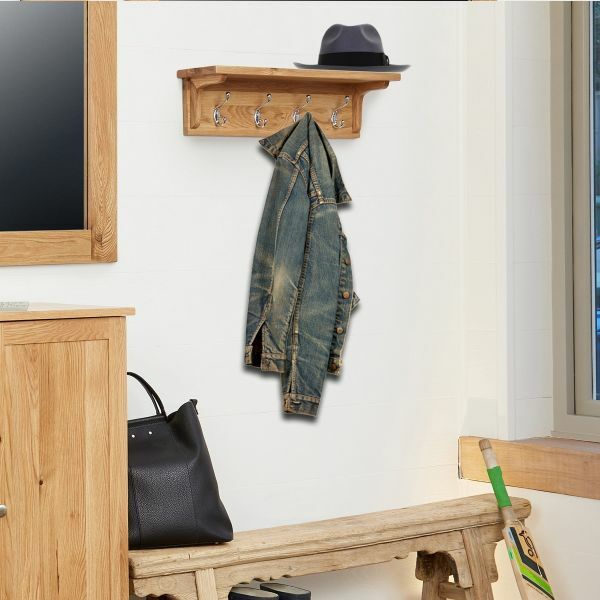 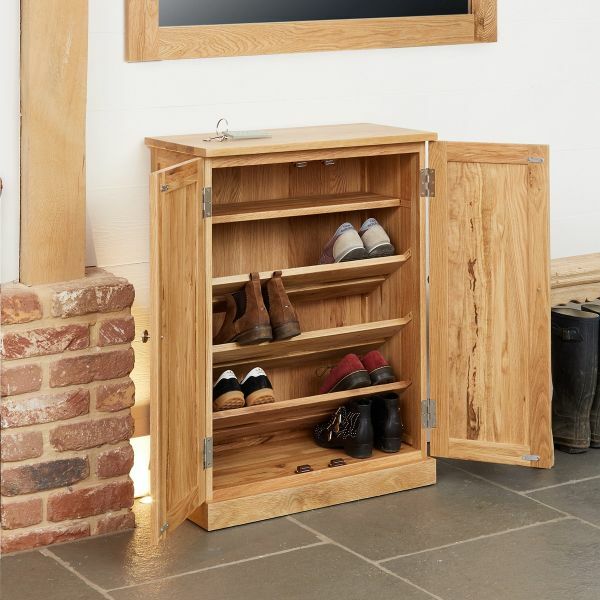 This item is perfectly complimented by our Mobel Oak Low Bookcase from the same range.